I felt like I rushed the conclusion because I was so intent on making time. I probably could have tied the ending together if I didn’t panic when the yellow light came on. I don’t normally get nervous but following Danika definitely unnerved me. My hands were shaking and I can hear my voice cracking in the recording. She is such a wonderful storyteller…also apparently a keeper of shareable hats. I would insert a section closer to the opening of the speech more clearly defining the idea of love as a noun and a verb. I thought my intent to make time watered down the ending. I had a bunch of good feedback and the topic connected with individuals in the audience. There is an excellent idea somewhere in here for further speeches on this topic. Also, will bring my own hat next time. You are such an interesting speaker Started slow So. So. So. So. So, keep working on it. Humorous speaker Left me hanging on the end. Read more "Toastmaster Reflection – Cupid is a Terrorist"
Apparently, Lazarus Department store had a two for one sale on brown. Dad and I were camouflage to match the curtains. At my monthly Mastermind group yesterday we spent my fifteen minutes discussing my fashion. More specifically how I use the coat of professionalism to provide cover for my authentic self. The embracing of a style unique to me – jacket, tie, vest, dress shirts and slacks – is not about trying to impress anyone else but to remind myself to keep my focus on the moment I’m in. Even sitting at home cold calling or working on a client project I still dress up. I may wear a tie and dress shirt all day and never leave the kitchen table. Work is work and when the tie comes off it’s play – or chore – time. And in truth, those have specific uniforms too. Perhaps in New York City or some corporate board room my fashion choice wouldn’t stand out. However, to many folks in rural northwest Wisconsin dressing up means changing from the the orange blaze and Mossy Oak camos to the Sunday best Aaron Rodgers jersey. As a result I stand out. Which isn’t the intent but is a natural outcome. Also, I look terrible in blaze orange. I choose my fashion for a number of reasons. First impressions matter. Dress grungy be treated as grunge. I may not be overly concerned about what you think of my tie and vest ensemble but I do know it works to my advantage in both casual and business situations. I know my purpose. Dressing business professional doesn’t make me smarter but since I adopted a professional dress code consistent with my personality it certainly makes me more focused. Concentration is a competitive advantage in a world fueled by distraction and misdirected multitasking. I’m not in high school anymore. Watching AMC’s Mad Men I realized I had no style. Seriously: No style. I was wearing updated versions of the same clothes I wore in college and high school. Just in a larger size. Which may be acceptable at 30 but not at 50. Plus the 1980’s are not known for fashion. Well, not good fashion anyway. I have an ego. There is no nice way of saying this: I like to stand out when I want to stand out. I like to be different. I don’t want to be lost in the crowd of khakis and golf shirts. I want to be my own man. At 50 I’m embracing the non-conformist in me. Makes you uncomfortable? You find it off putting? Think it’s fake? Pretentious? Silly? Not my problem. It simplifies my day. Steve Jobs had a uniform. He chose for simplicity and creative reason. I’m clearly no Steve Jobs but I find knowing what I’m going to wear everyday simplifies my life. I don’t have an assistant to oversee my wardrobe and lay my clothes out but it helps me knowing I only have three vests and six mostly vintage ties to choose from. ZZ Top knows. ‘Cause every girl crazy ’bout a sharp dressed man. If I do need to go out, regardless if it’s to the grocery store or downtown Minneapolis, someone always has something nice to say about the color of my tie. I may not be dating but it’s always fun to be noticed and reminded I’m not dead yet. Read more "ZZ Top Knows What’s Best"
The wonderful aspect of this type of photography is the details. In my opinion, modern digital photography lacks the depth. Click here and see some amazing details. 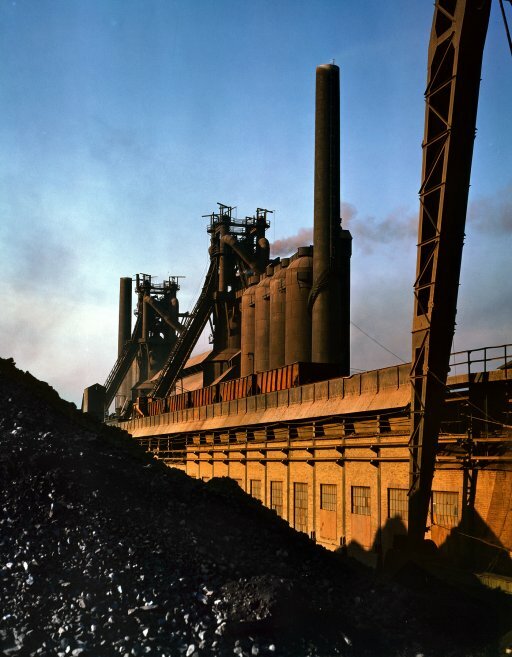 This is from a 4×5 Kodachrome transparency by United States Office of War Information photographer Alfred Palmer via Shorpy.com. 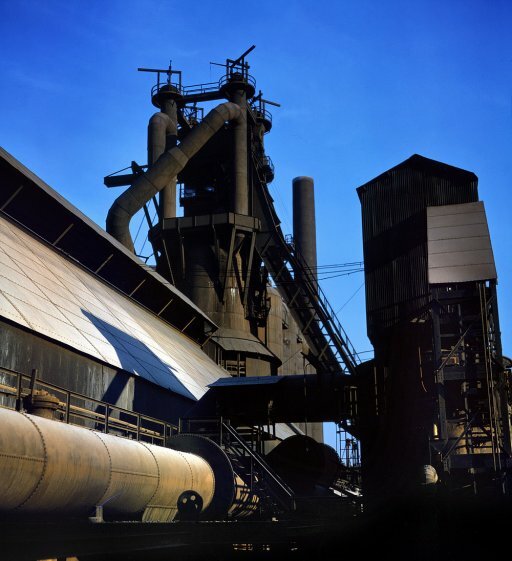 Another Kodachrome transparency from Palmer of Carnegie-Illinois Steel Mill, Etna, PA.
Click here to see an amazing close up via Shorpy.com. A collection of black and white photography from U.S. Farm Security Administration/Office of War Information photographer John Vachon. Today was a lesson in time management, productivity, prioritization and basic self-honesty. I cannot do what needed to be done tonight to put on a class. Life is happening at an alarming pace recently, and without getting into the weeds of it all, I made the most honest decision and rescheduled this class. There was, of course, the usual agony and angst surrounding the decision: What will people say? How will it look? Am I letting people down? Will I be judged? Criticized? Will people drop out of the class? However, I know it was the best decision to be made with the available information. I don’t have to like it. I’m not asking others to like it either. Prior to focusing on simplifying and time management I would have shoehorned my whole day together. A process that would have resulted in a chaotic and overwhelming situation for everyone. Nothing of value would have been accomplished, blocks of time would have been underutilized and fractured. I would have spent the day with a nagging sense I should be somewhere else, doing something else. One of the primary outcomes of better time management is less chaos and overwhelming situations. Productivity requires an honest appraisal of what is possible given the restraints of time. If I were a Time Lord perhaps I would jump from block to block without concerns of fatigue, travel times, healthy eating and caring for loved ones or myself. Developing good productivity and time management habits is a fools errand if we lack honesty about what is possible in the time allowed. Time is a currency, and if what I’m doing doesn’t maximize its value, than what I am doing is wasting my time and yours. By canceling the class tonight I respected the value of your time and mine. Do something of value with the time you have. Read more "Today was a lesson"
Thank you Hudson Rise ‘n Shine Toastmasters Club for the Best Table Topic award and acknowledgement. For those that don’t know, Table Topics is a portion of the Toastmasters’ agenda where members are randomly chosen to come forward to speak for one or two minutes on a question chosen by the Table Topics Master. You have no idea what the question will be when you are called up. I only said “so” once – maybe twice. Toastmasters is the best thing I have done for professional development in a long time. Read more "So, thank you, Hudson Rise ‘n Shine Toastmasters"
Read more "Your lack of faith is disturbing"